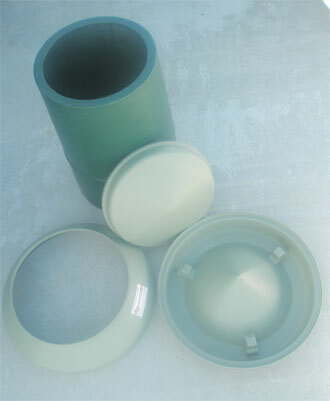 Created as a 4 piece part of LLDPE, in mist green and green. 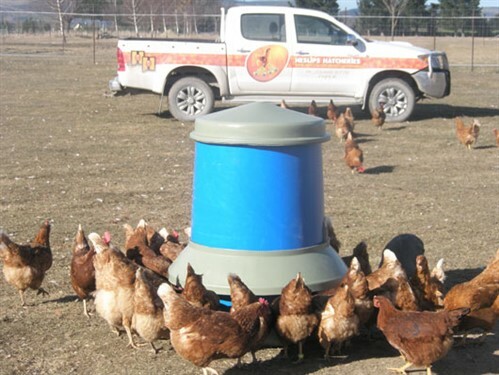 The four pieces fit together to create a “timesaver” feeder for free range poultry - holding 170kg of your feed choice. Piece one, sloped, secure fitting lid. Piece two, sloped secure fitting rain shade. Piece three, sloped cone shaped centre with surface for "gravity fed" feed placement around the edge. 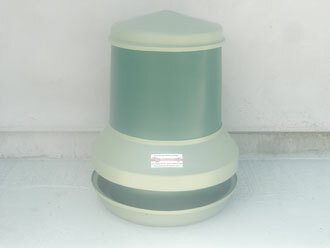 Piece four, tapered bin, with ridge to hold rain shade and to secure rain shade at optimal space from bottom piece. Minimal wastage due to outer lip area of the bottom cone. 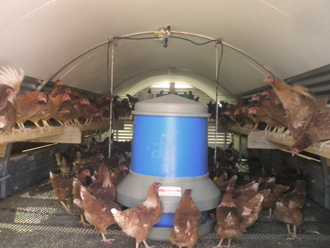 50x 20+ week old hens@ 120grms feed per day = 28 days feed!! 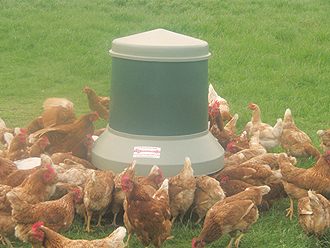 Designed by Heslip's Hatcheries & made locally in Canterbury.